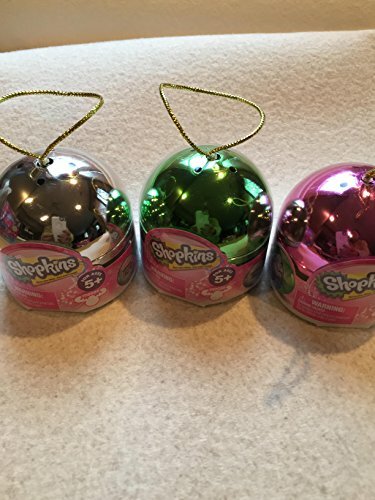 One 2.5″ ornament either pink, green or silver with a loop for hanging on a tree or other decoration. Each ornament has two Exclusive Christmas characters inside. 36 to collect.